The Ancient Buddha, Abundant-treasures (Many Jewels) Buddha, entered Nirvana a long long time ago. He appeared in his stupa to hear the Buddha preach the Lotus Sutra: an ancient monument emerges from the ground, opens up, and reveals an extinct Buddha, named Prabhutaratna. By the Ancient Buddha’s presence revealing that nirvana is not annihilation. 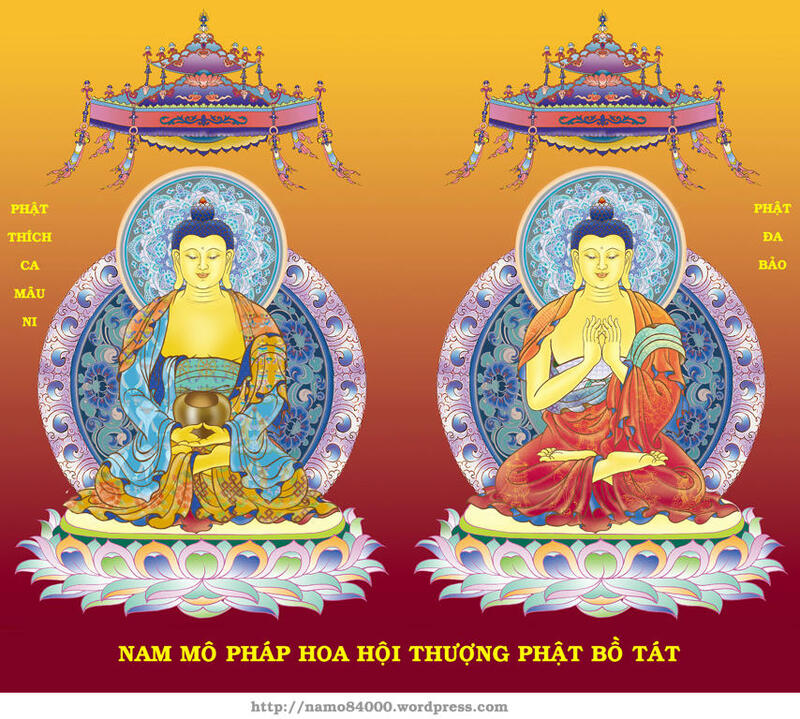 In the image above, the Shakyamuni Buddha is left of this, the Ancient Buddha is right. 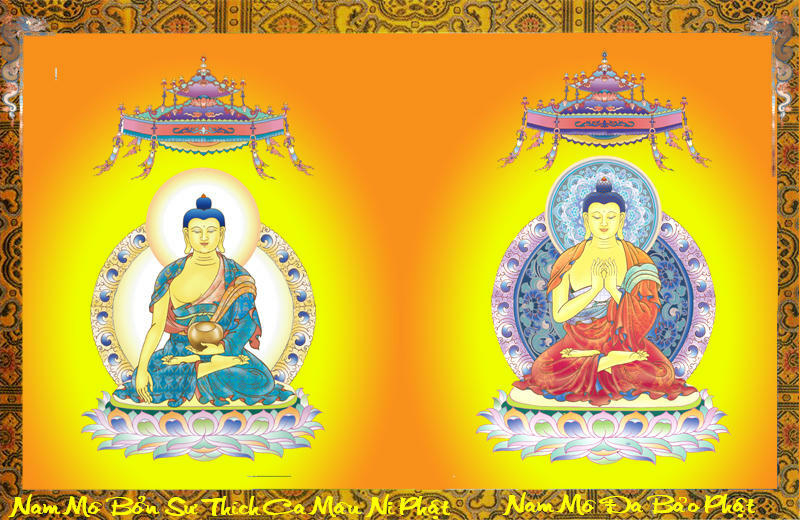 Image of the Buddha teaching the firts time.